2014 comes to a close today. During the month of December, I spent a lot of time reflecting on my goals for 2014 and considering why I fell so short on many of them. In fact, I only completely finished 4 goals. 12. 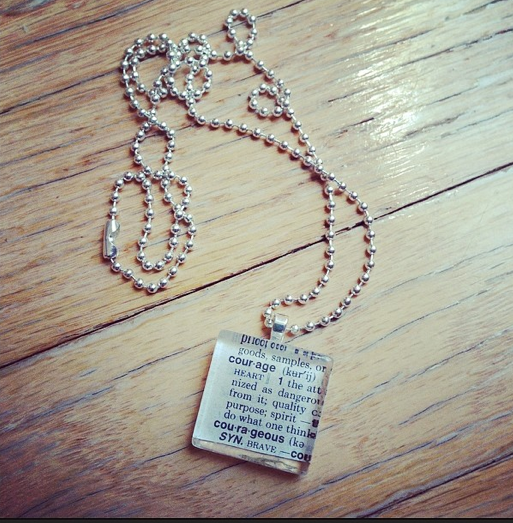 Blog about/participate in the 12 Months to a Healthier You Challenge . This was a big problem for me. While I’m all about challenging ourselves and growing and stepping outside our comfort zones, I also think we need to temper our ambition with a healthy dose of reality. I didn’t do a good job of that when making my 2014 goals. In fact, some of them were just too big from the get-go and they sat on the paper and sort of mocked me all year long. Goals like reading 150 books and reading aloud 40 books just were far too ambitious with everything else planned for the year. And because they were too far outside my reach, instead of motivating me, they discouraged me and made me feel like I was failing. In reality, I read 10 books aloud to my kids and read over 85 books personally. I should be celebrating that, not beating myself up about it. So, as I posted about earlier today, 2014 was a BIG year for us. 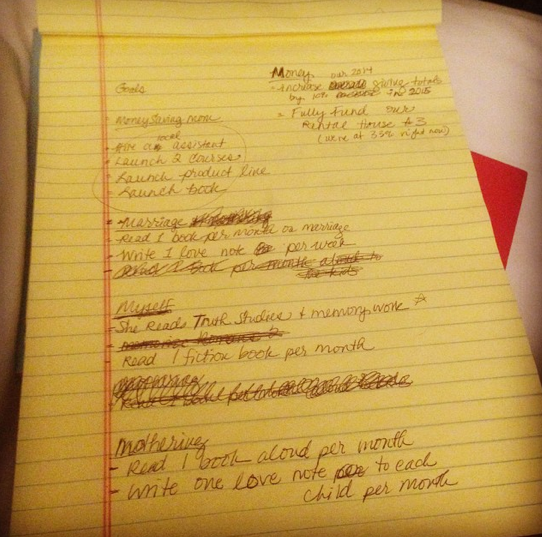 And honestly, I didn’t really account for that at all when I made my list of goals. Which is a fatal mistake. I kind of forgot we were going to be moving cross country, that I was releasing a book, that I would be traveling 2-3 times per month, that I would be writing another book, and that I would be losing my amazing full-time local assistant. Don’t ask me why I didn’t even think of any of those things when I was mapping out my goals. I guess I was just naive. Or overly ambitious. Or just plain brainless. Or a combination of all three of these things? I also didn’t take into account that it would take us all a good five months to adjust to life in TN and to find a routine and rhythm with our new lifestyle. It took us a number of failed attempts and trial and error before landed upon what we’re currently doing — Jesse and I working half days while the other one is homeschooling/with the kids. 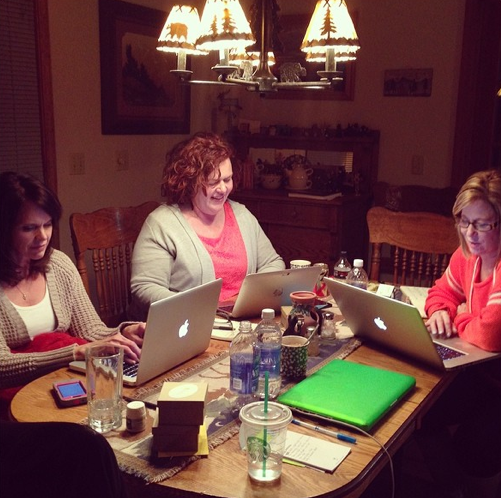 A peek at my hen-scratched, very-non-Pinterest-y 2015 Goal List in the making — more tomorrow! With these things in mind, I tried to be much more realistic of life, time restraints, and projects already planned for this coming year when making my goals for 2015. I’m really excited about the list of goals I ended up mapping out and will share those with you tomorrow. Stay tuned! 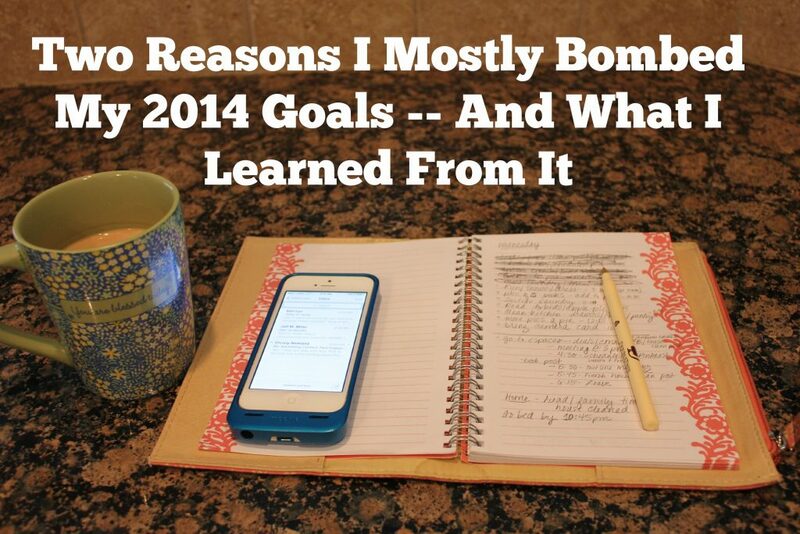 How did YOU do on your goals for 2014? What did you learn from your failure and success? Hobby Lobby: Christmas items marked down to 80% off! 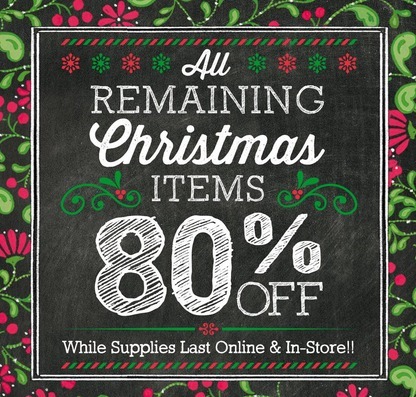 Hobby Lobby has announced that all their remaining Christmas items are marked down to 80% off! This offer is valid both in-store and online while supplies last. 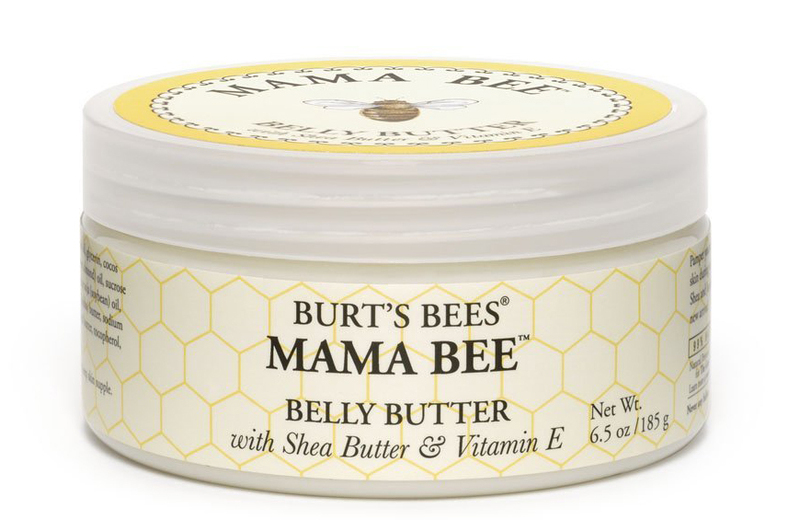 Burt’s Bees: Burt’s Bees Mama Bee Belly Butter is on sale right now. 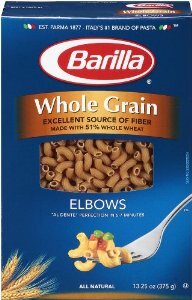 Pick up the 6.5-ounce jar for as low as $7.51. Crystal Light: Stock up on Crystal Light On The Go Drink Mix, Variety Pack, 44 Count – now just $5.89 (that’s only $0.13/individual serving). Babyganics: Babyganics Fragrance Baby Shampoo + Body Wash is on sale for the lowest price to-date – $6.44/16-oz. bottle ($19.33 for the pack of 3). Depend: Stock up with this great deal on Depend for Women Incontinence Underwear (Maximum Absorbency). Get the 17-count pack of large for as low as $8.69 ($34.77 for the pack of 4). Maybelline: Here’s a great deal on Maybelline New York The Colossal Volum’ Express Washable Mascara – just $3.59 when you use the available 25% off coupon. Viva Labs: Viva Labs Organic Extra Virgin Coconut Oil (54 ounce) is on sale now for just $24.95. Lysol: Pick up Lysol Disinfecting Lemon and Lime Blossom Wipes for a great price – as low as $2.16 per 80-count canister ($6.48 for the pack of 3). Haribo: We’ve watched this deal on Haribo Gummi Original Gold-Bears Candy come and go, but right now you can pick up the 5-ounce bags for low as $0.67 each ($8.06 for the pack of 12). Terry & Mandi are a busy mother-daughter team that look for ways to save money without sacrificing a lot of time, and they share their love for all things Amazon.com at Jungle Deals & Steals. SAVE $1.00 off any TWO (2) Sparkle® 2 giant rolls or larger paper towel packages. SAVE $1.00 on any TWO (2) packages of Quilted Northern® bath tissue 12 double roll or larger. The year began with a bang: I released my second book in January, was on Good Morning America, traveled to NYC for a media tour, hit the New York Times list — all within the first few weeks of January! Crazy! 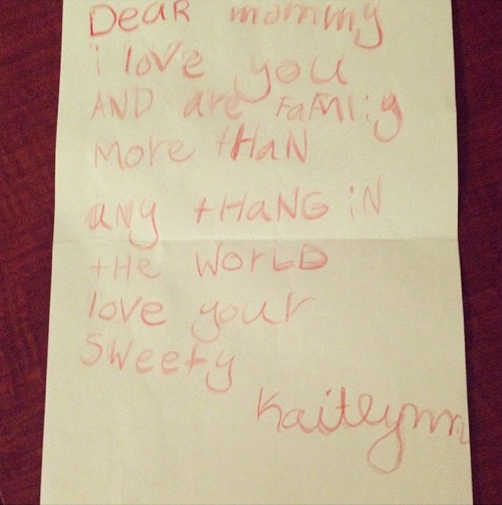 Kathrynne also turned 9 this month and had asked if she could plan her own birthday party. She blew me away by writing out meticulous and detailed plans, choosing the activities, making the guest list, putting together invitations, sticking with a budget to buy all the supplies, and putting together all the party favors! That girl has mad party-planning skills — and she loved every minute of the planning part! It’s been so fun to see her blossoming, growing, and maturing. Her personality is so different than mine in so many ways and yet she has the biggest heart and loves me so fiercely that it constantly humbles and touches me. I recorded my book as an audiobook the first week of February. We broke it up over three days since I’ve learned that my voice only holds out strong for around 4 hours. 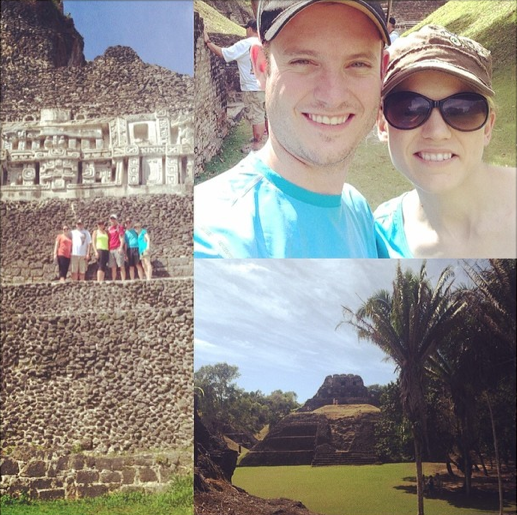 The third week in February, we took a much-anticipated trip with two other couples to Belize. It was such an adventure requiring many different methods of transportation, lots of new sights, tastes, and experiences. And we had a wonderful time of unplugging (mostly) and just resting and soaking up the sun and beautiful views. This month was booked solid with traveling and moving preparations. We had initially planned to move April 15th, but when we started looking in earnest for housing to rent, the house we found and loved wasn’t available until May 1, so we extended our move date until April 30 which bought us a little more time. Jesse spent the month taking care of the hundred and one moving details and wrapping up things with his law firm so he could officially shut down right around the time we moved. I traveled to Colorado to spend a few days with three dear friends of mine (Michele, Renee, and Kathi) in a cabin Buena Vista. It was such a good time — especially because we were able to rally around Michele right before her cancer surgery. The next week, I traveled to Colorado (again) for radio recordings with Focus on the Family and then flew from there to Illinois for the Hearts at Home conference. The following week, I was back on the road again — this time to Nashville for the Teach Them Diligently conference. We started getting into the final stretch of our big moving day, so the month of April was packed with, you guessed it, packing and paring down the house. It was also full of many, many goodbye get-togethers. Honestly, while I felt so loved by so many people, goodbyes are so hard for me so this part of the move was really draining. 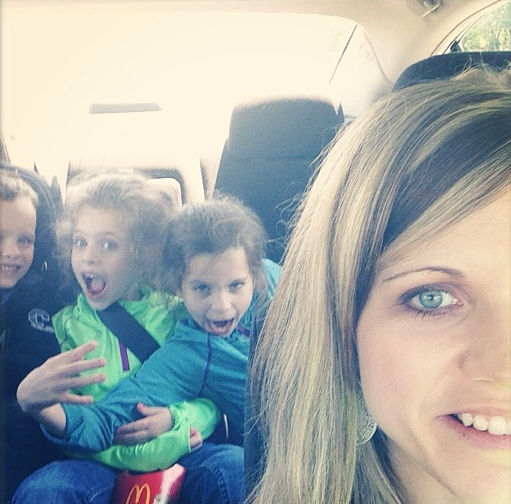 I wanted to be strong for my husband and kids, but I had many moments when I wondered what on earth we were doing! This was an especially hard month for our kids. 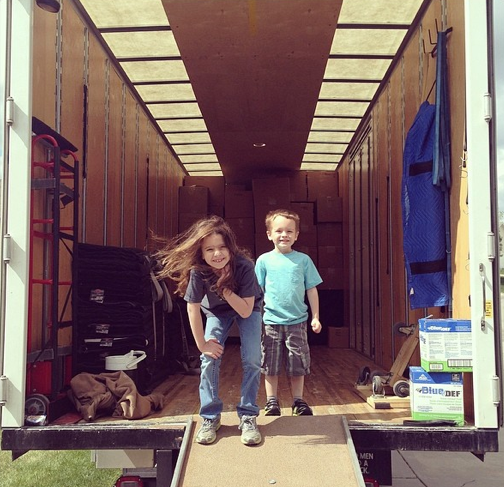 They’ve been so brave in the whole move thing, but they all had to grieve in their own ways and we did our best to have lots of conversations, be cognizant of their needs, and to make sure that we did all we could make the transition as smooth for them. I only had one trip this month — and Jesse got to come with me! We went to South Carolina for another conference and my parents and most of my siblings came to. For most of them, this was their first time to hear me on stage and that was a big unnerving for me. But they were all so encouraging and I punched another fear right in the face! The week before we moved, Jesse went to Phoenix for a conference on email marketing. The timing of the conference wasn’t that great, but he really wanted to go and since we had wrapped up just about everything at home, it worked out just fine — and I’m so glad he went because he learned so much and had a great time. Our moving day arrived. There were so many bittersweet things about this day… so many emotions. Excitement. Sadness. Eagerness. Fear. All rolled up into one. My sister, Olivia, drove with us to TN to help us unpack and that was SUCH a gift. We ended up driving the 15-hour trek straight through and made it to TN completely exhausted, but grateful to have arrived! 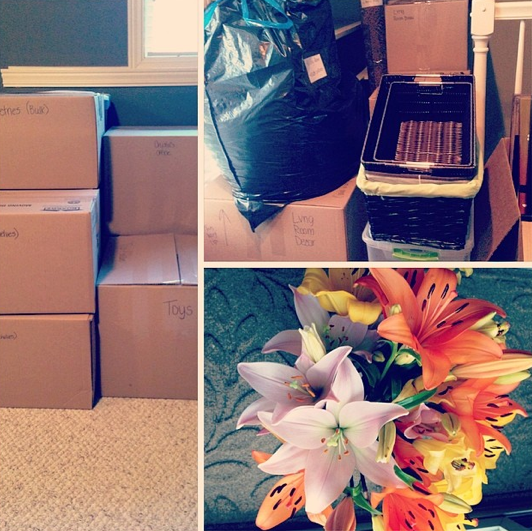 The week of the move was a whirlwind. My sister helped us get almost everything unpacked — I knew we had a busy summer, so it was important to get it done right away or it might not happen for months! — and the community welcomed us so warmly. Within the first week, we had met most of our neighbors and many of the folks who have become dear, dear friends to us. And that was such a gift! 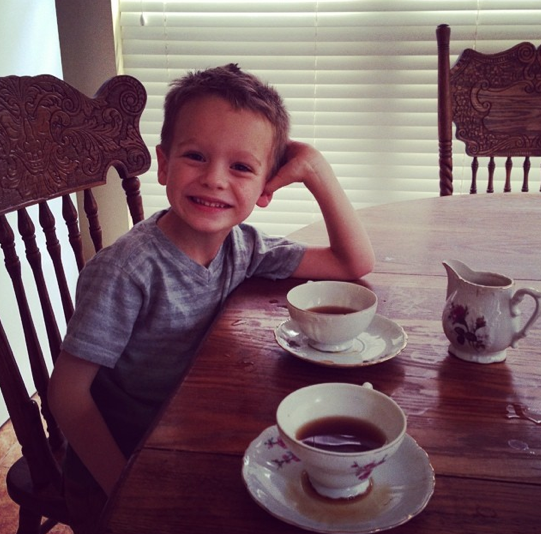 I can’t believe my baby is 5! So grateful he still loves mama snuggles! We went back to Kansas for Jesse’s brother’s graduation and to celebrate Silas’ birthday (it was very important for him to celebrate his birthday in Kansas and we wanted to honor this as a way to help him make the transition more smoothly). 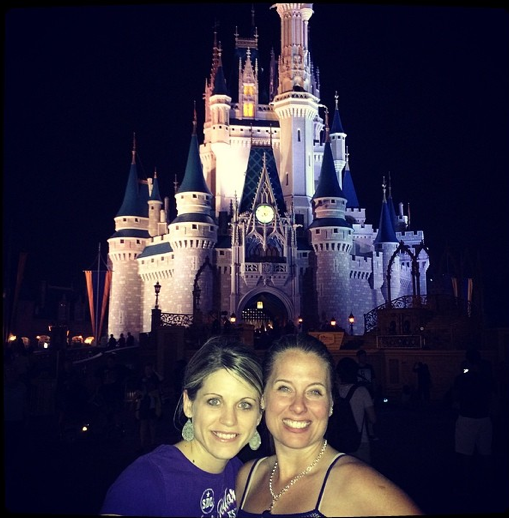 The following week I flew to DC to speak at a conference, the following week to speak at a conference in FL (and got to go to Disney late that night for a few hours — my first time to go to Disney! 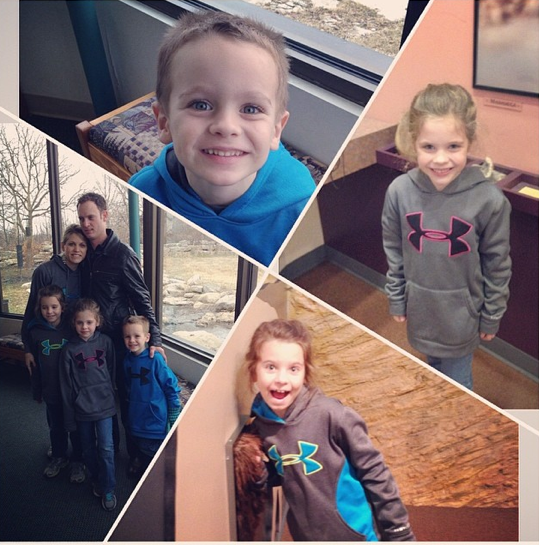 I just wish my family had been able to come with me! 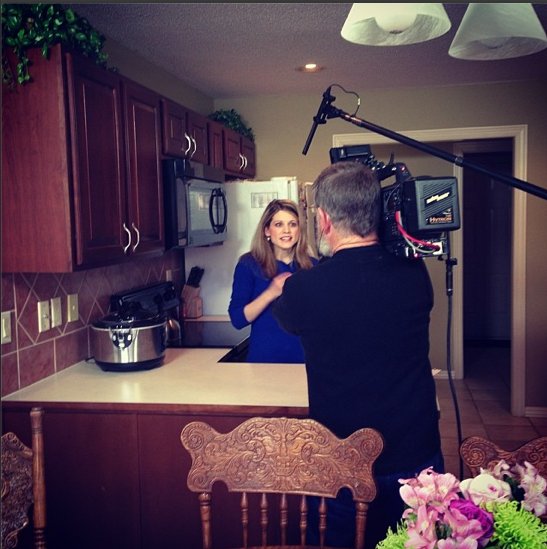 ), and then a few days later I flew to Arkansas for a radio taping with Family Life. My brother and his wife came and visited us for a few days and we had fun exploring some new areas and showing them some of our favorite TN places. 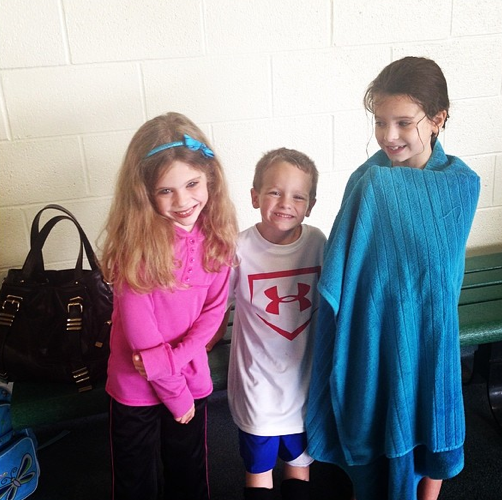 Kathrynne also started swimming lessons this week and Silas had soccer camp. 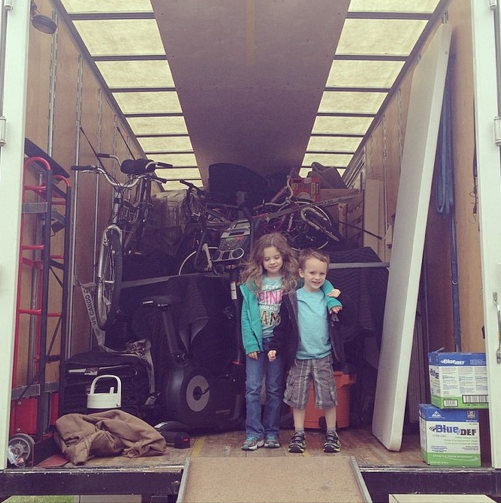 We wanted our kids to plug in as quickly as possible, so we encouraged them to each one activity that they’d like to participate in over the summer and we signed them up for it almost as soon as we moved. Kathrynne wasn’t being pushed in her swimming classes, so we asked around for some more recommendations and found a homeschool swim team that she was able to qualify for — which was thrilling for her as making a swim team had been a months-long dream for her. 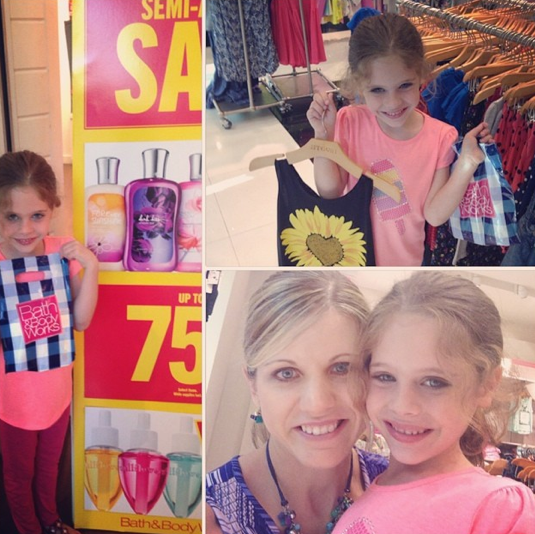 Kaitlynn turned 7 this month and asked to go to the mall for her birthday (typical fashionista!). We had a fun mommy-daughter date. She also started ice skating lessons again (her chosen activity). She had taken lessons before in Kansas, but this time around, she had a new drive and commitment to them and, pretty soon, she started really advancing. June was also the month that we for sure knew we’d found a church home here in TN. We were pretty sure that we had picked out a church that we felt would be a good fit for our family, but you never know until you go and visit for at least a few weeks. We were so grateful that not only was Fellowship Bible everything we’d prayed for and hoped for in a church, but it was so much more. We’ve been beyond blessed by the gift of this church — especially the depth of the preaching. Jesse had a sort of identity crisis that started in June and lasted well into August. It was a hard, hard, hard few months for him — and for us all. I’m positive our kids have never seen Mom and Dad struggle and argue so much. I had expected this might happen, but I was completely unprepared for how difficult it would be for me. 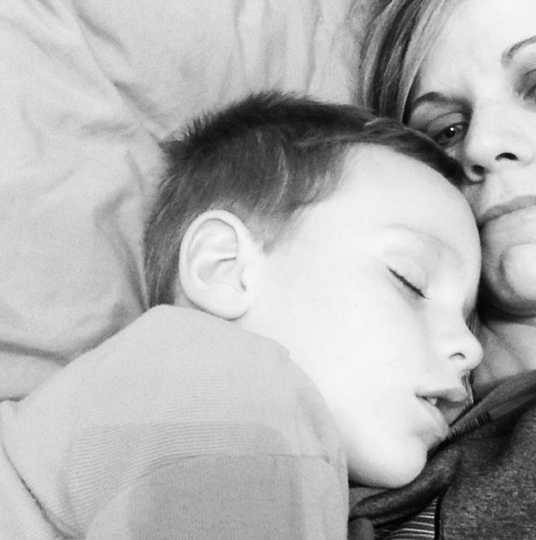 I didn’t know whether I was supposed to be the sweet, loving, listening, and empathetic wife or whether he needed some hard, strong truth to be spoken to him. He struggled to figure out who he was apart from his job. He realized that he’d always defined his value and worth by what he did (stressful positions as an attorney/running his own law firm) instead of who he was as a person. 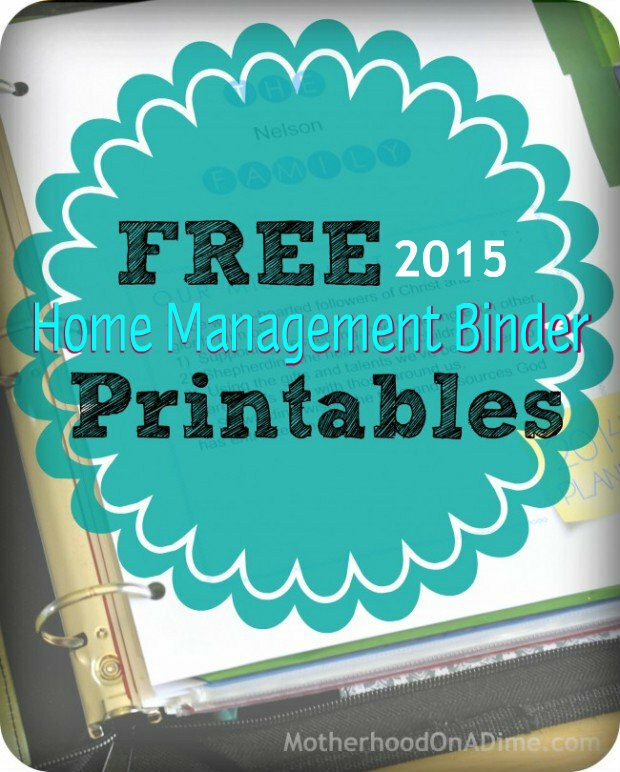 Download free Home Management Binder Printables for 2015 from Motherhood on a Dime.